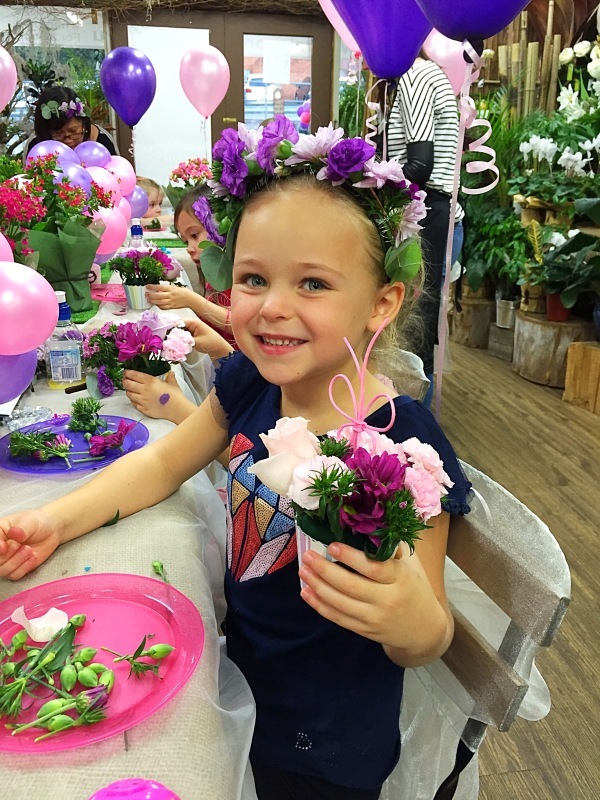 Looking for a unique birthday party idea for your child? 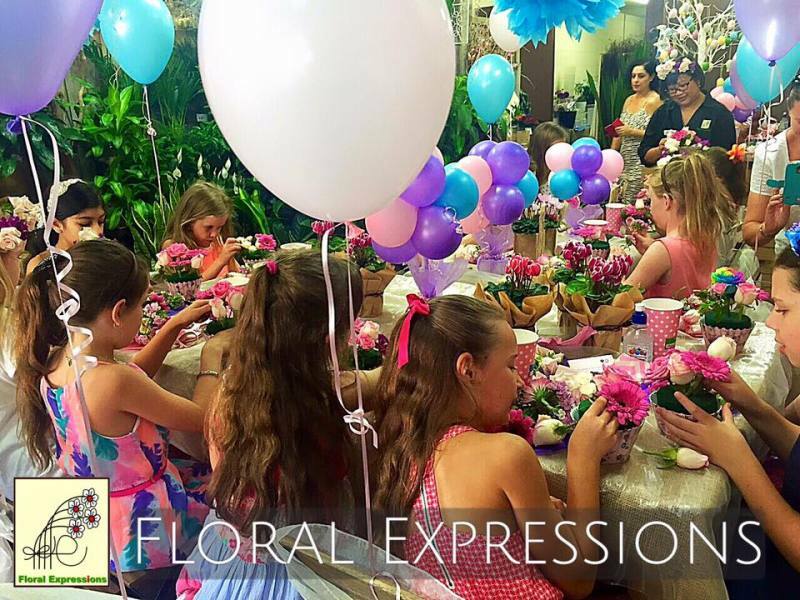 Floral Expressions offers floral birthday parties at our shop, or at your place. 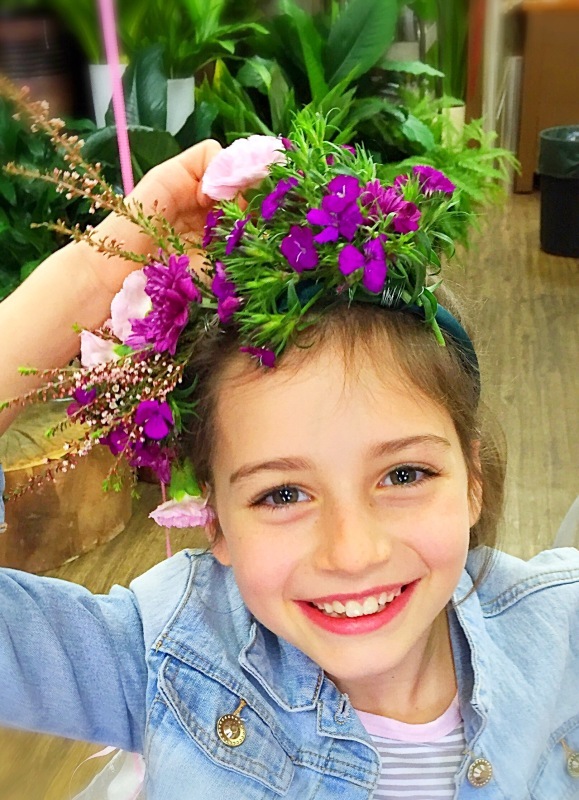 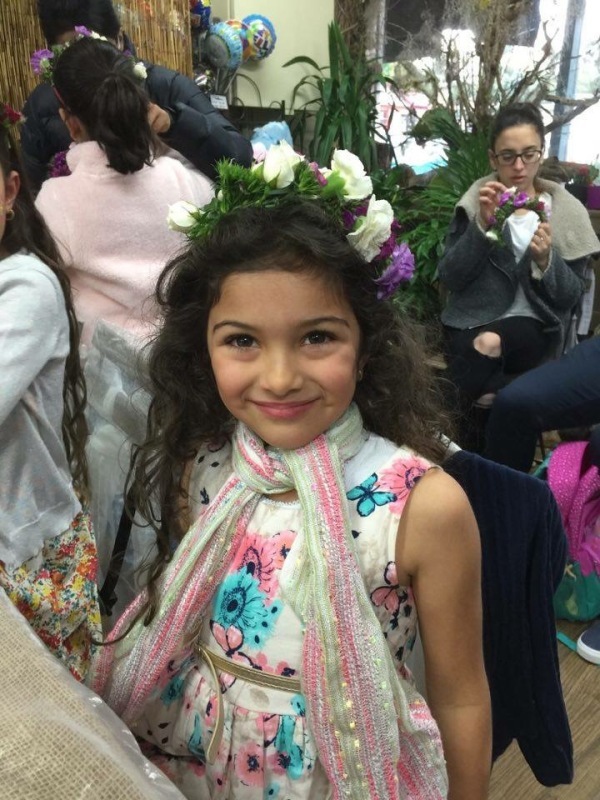 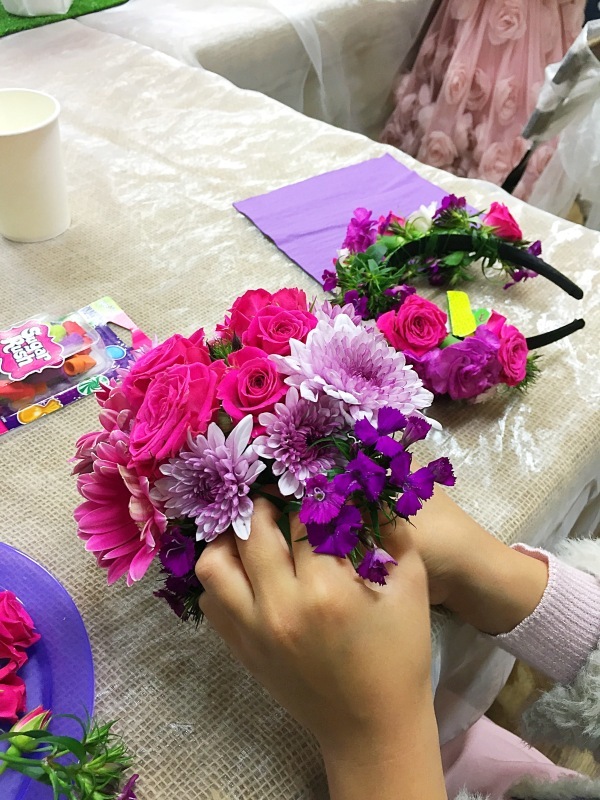 During our two hour party we play games and engage our guests in making beautiful flower crowns and fabulous floral arrangements. 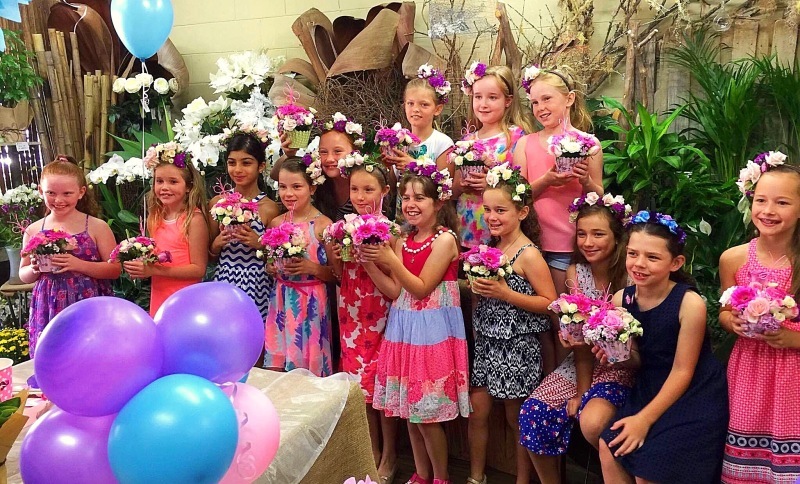 We can hold parties up to 15 children at our shop, or come to you if the party is larger. 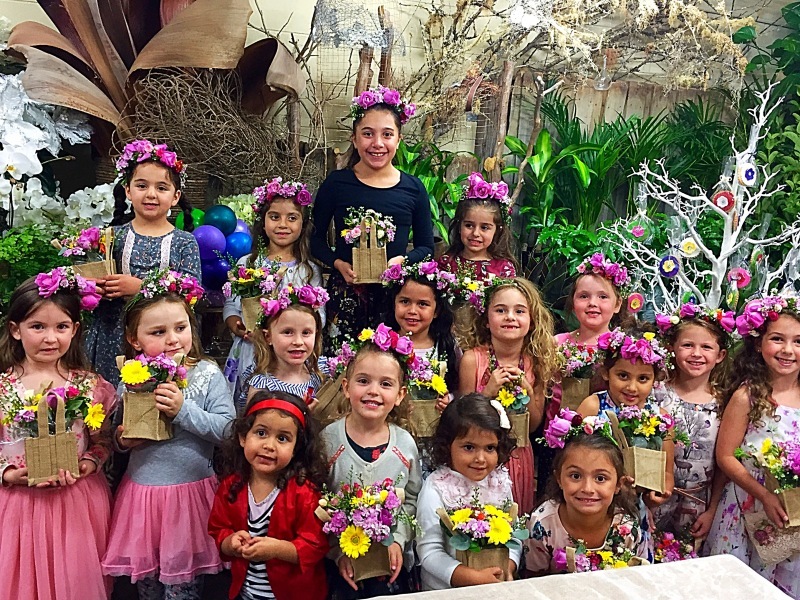 We recommend a minimum group of 8 and starting age from 7. 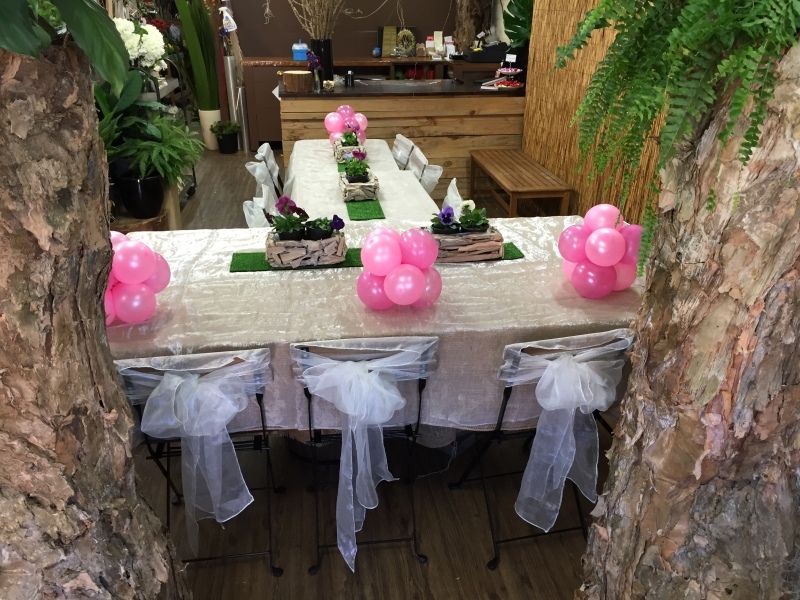 Call us to make a booking, or to ask more questions on 02 9683 1116. 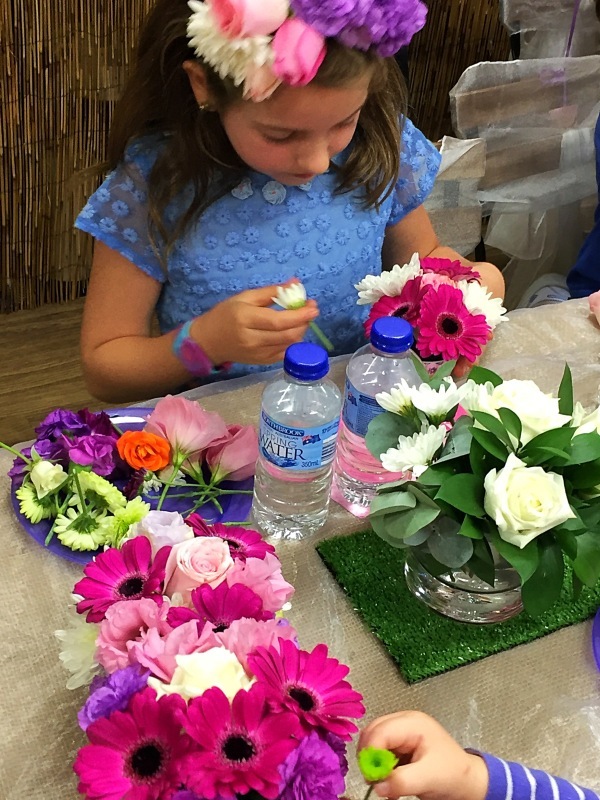 Are you bored of birthday parties at old play centres? 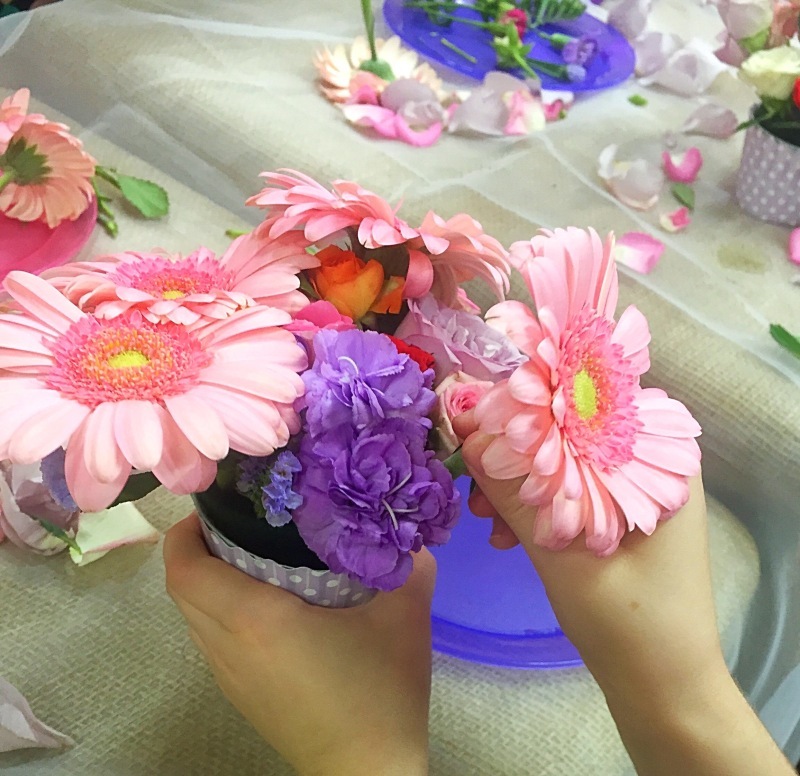 Would you like to impress with something different? 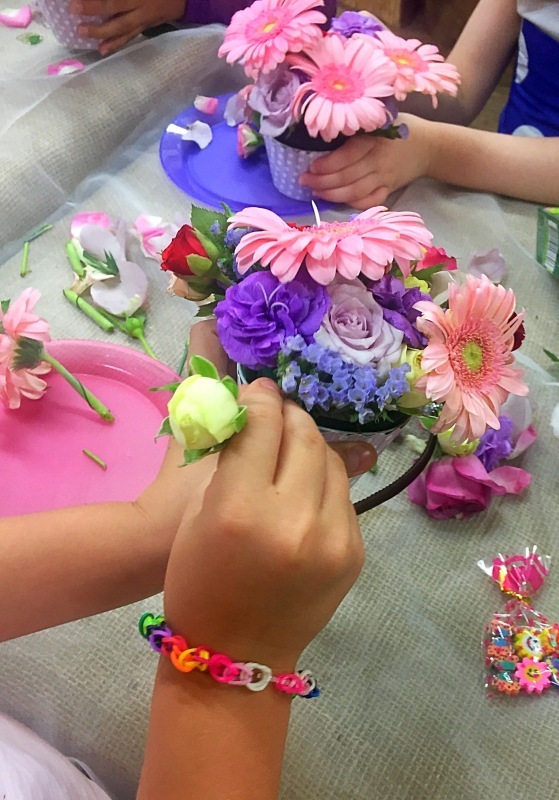 Would you like to engage your childs'creativity? 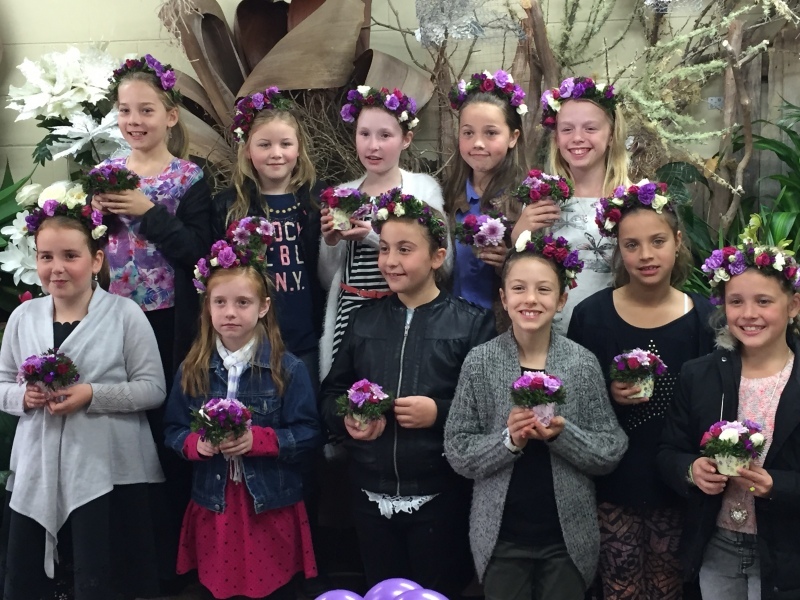 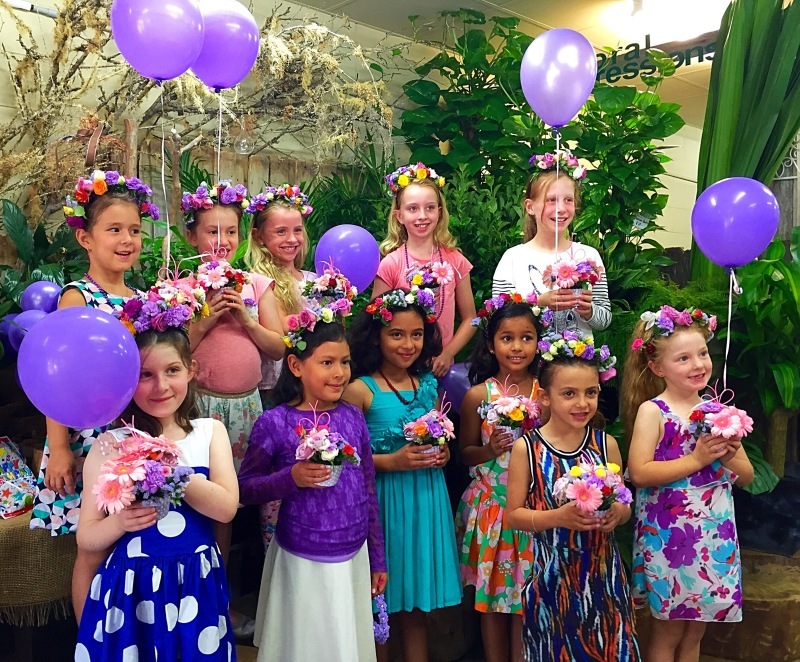 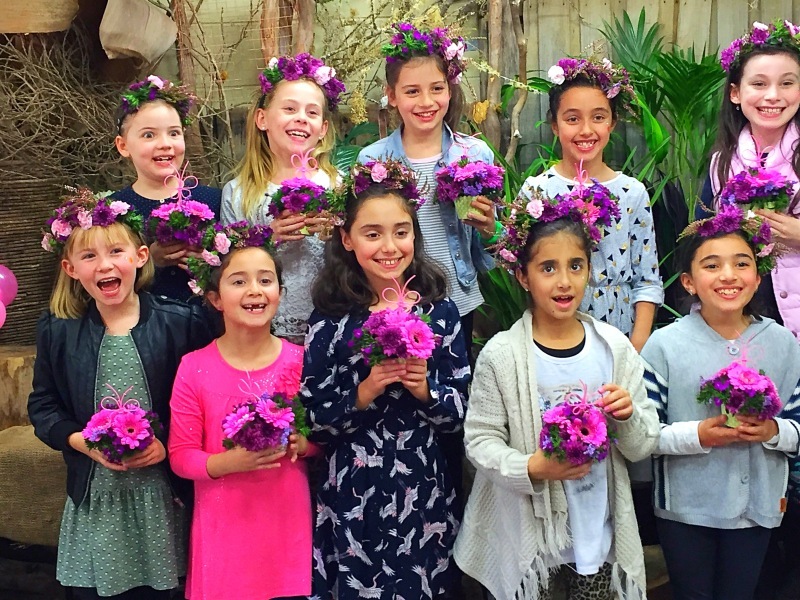 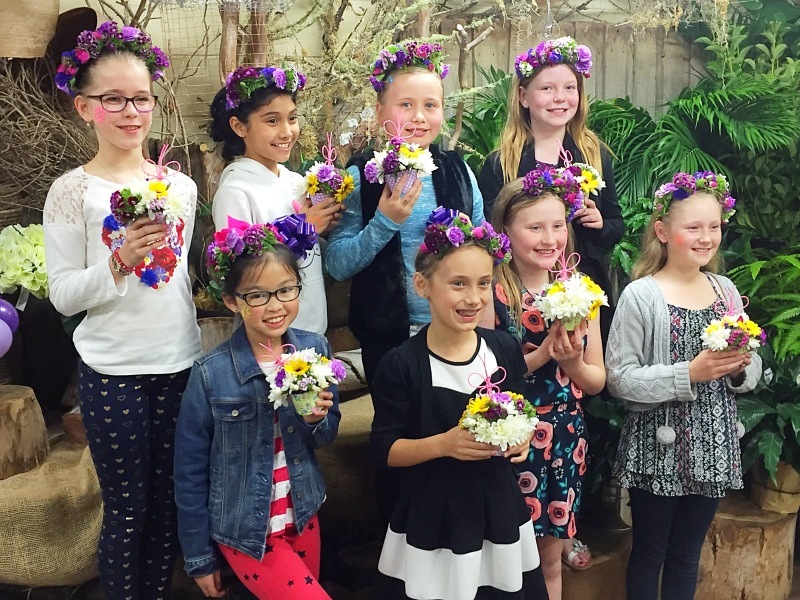 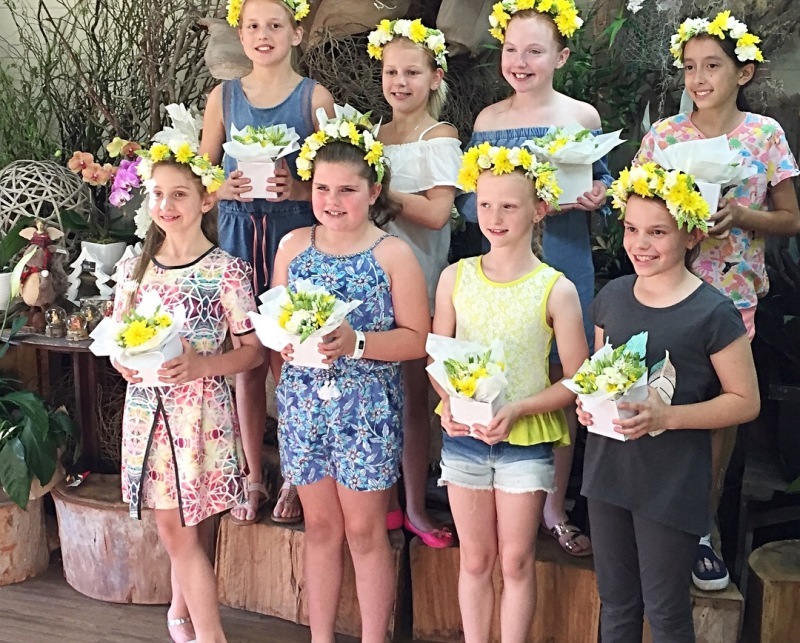 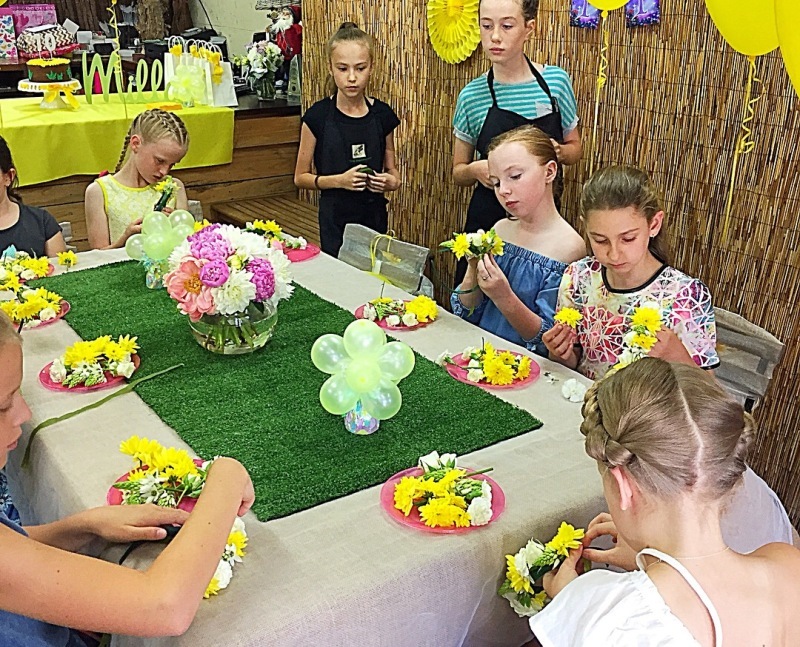 Birthday parties at Floral Expressions are fun and exciting. 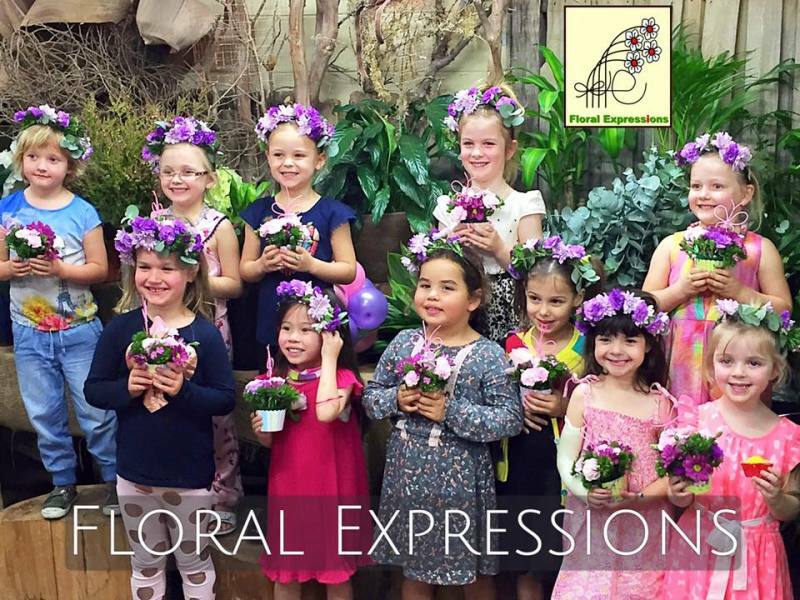 We create an environment that's fun as well as educational. 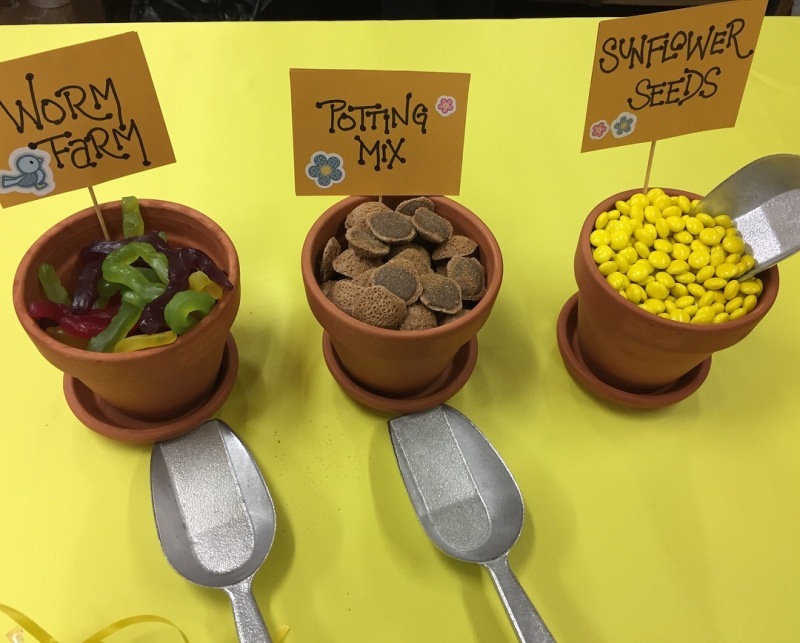 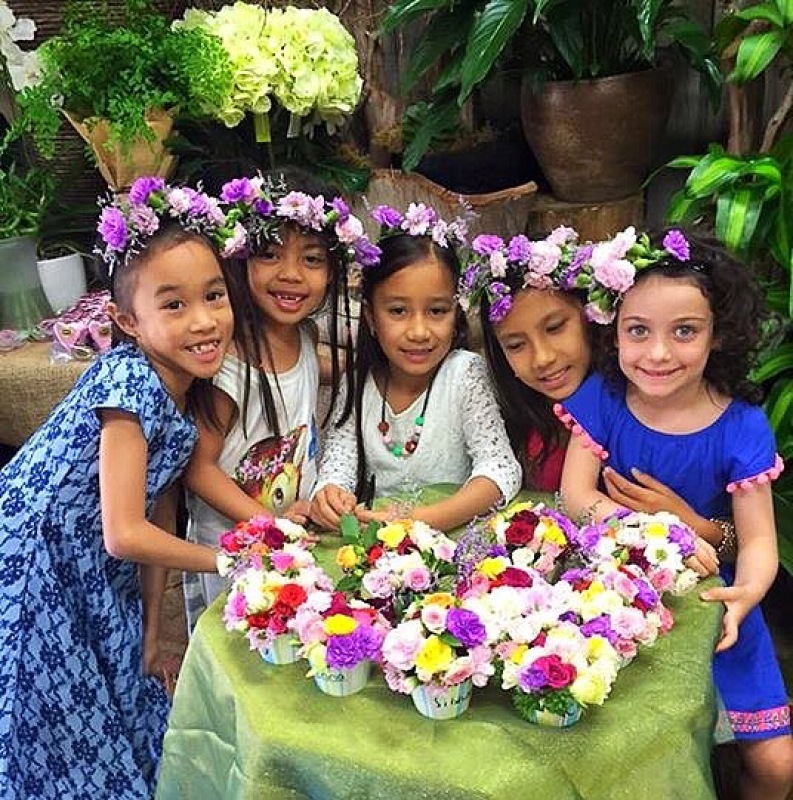 We play games and teach children about flowers. 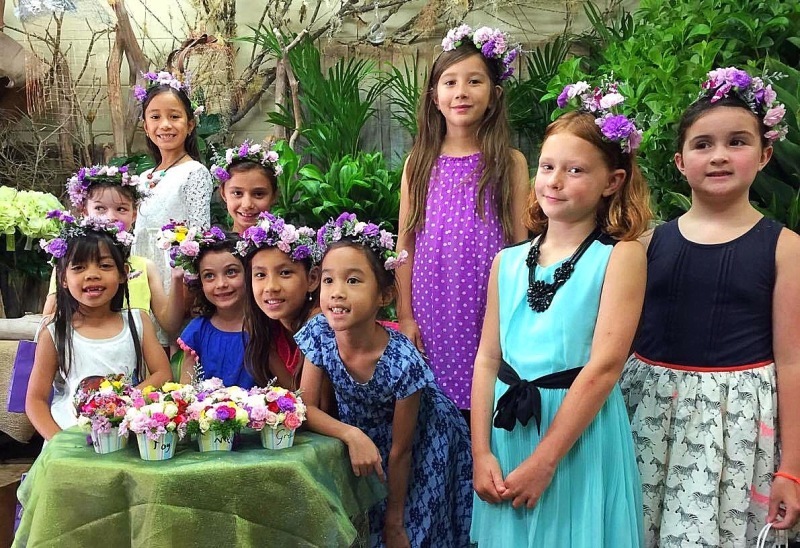 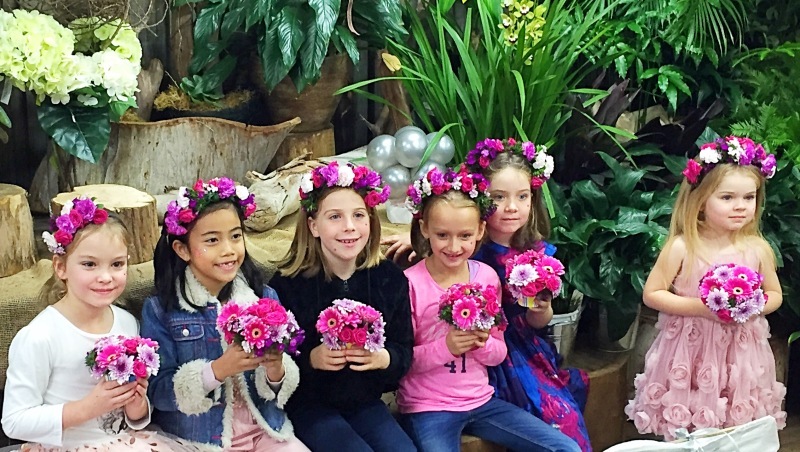 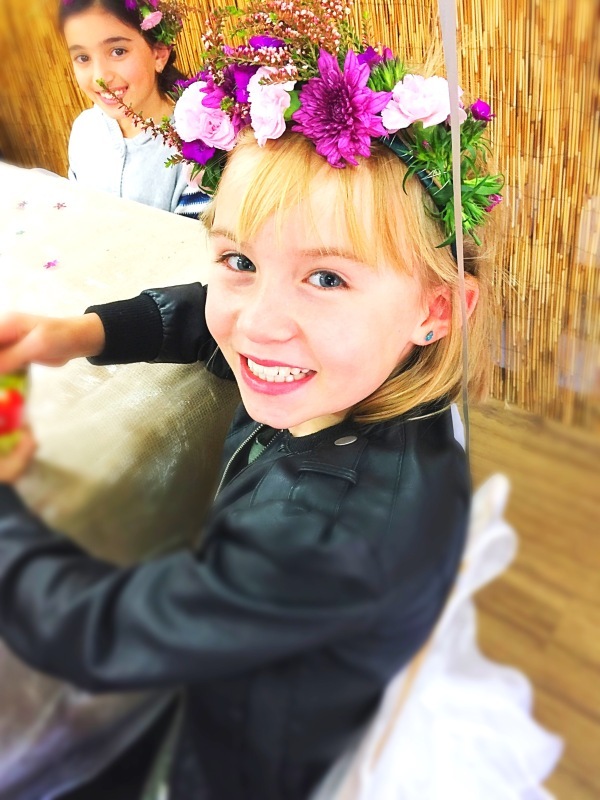 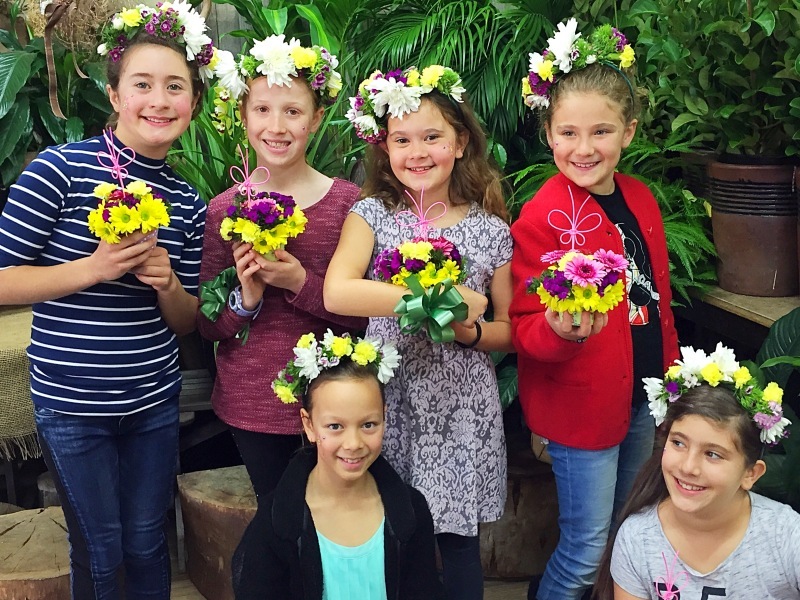 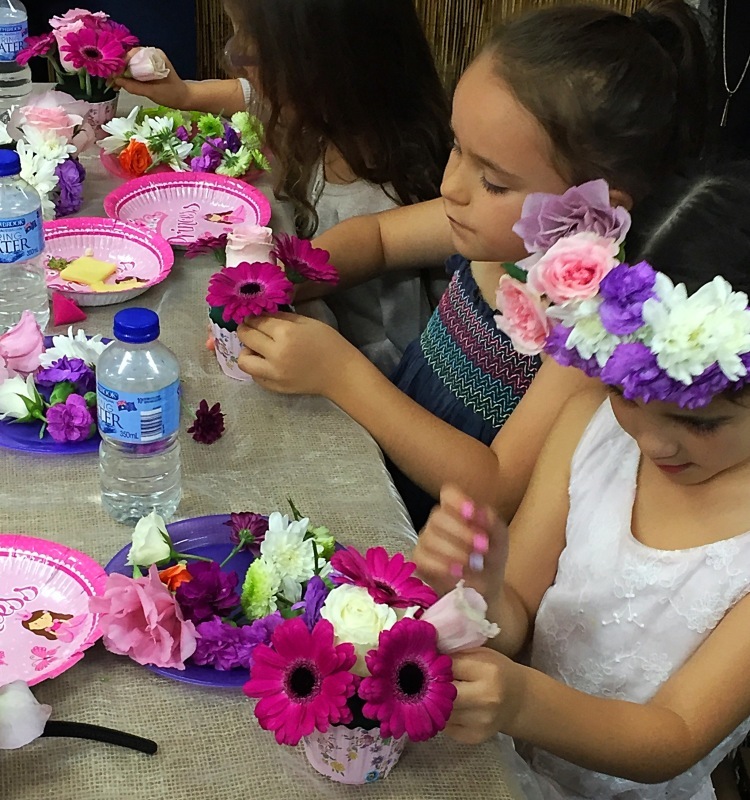 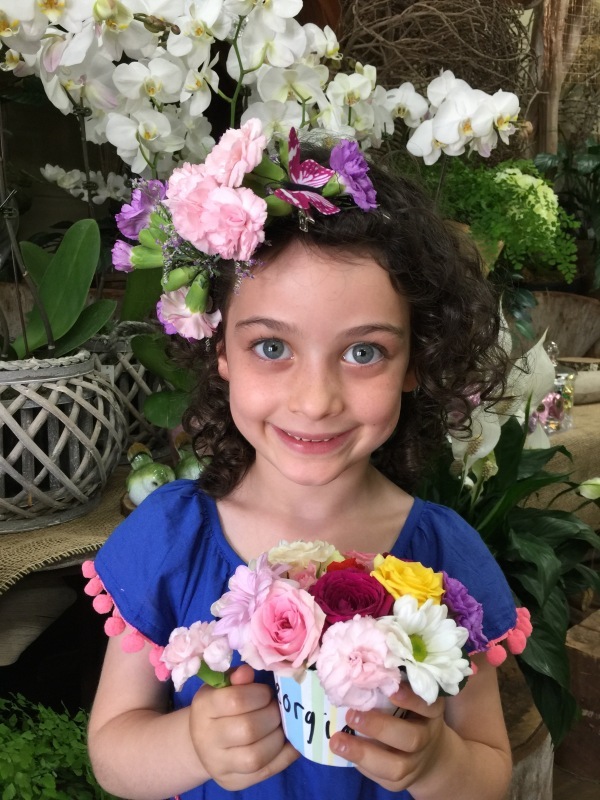 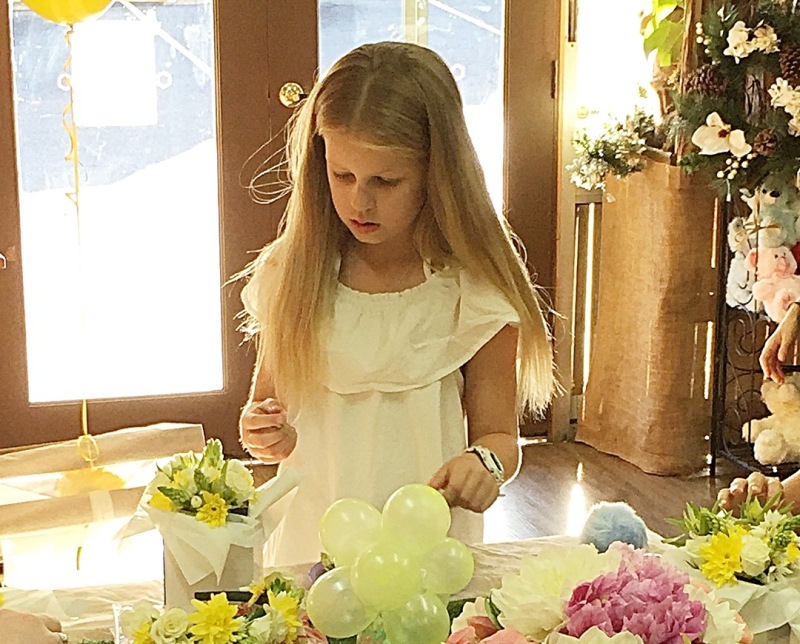 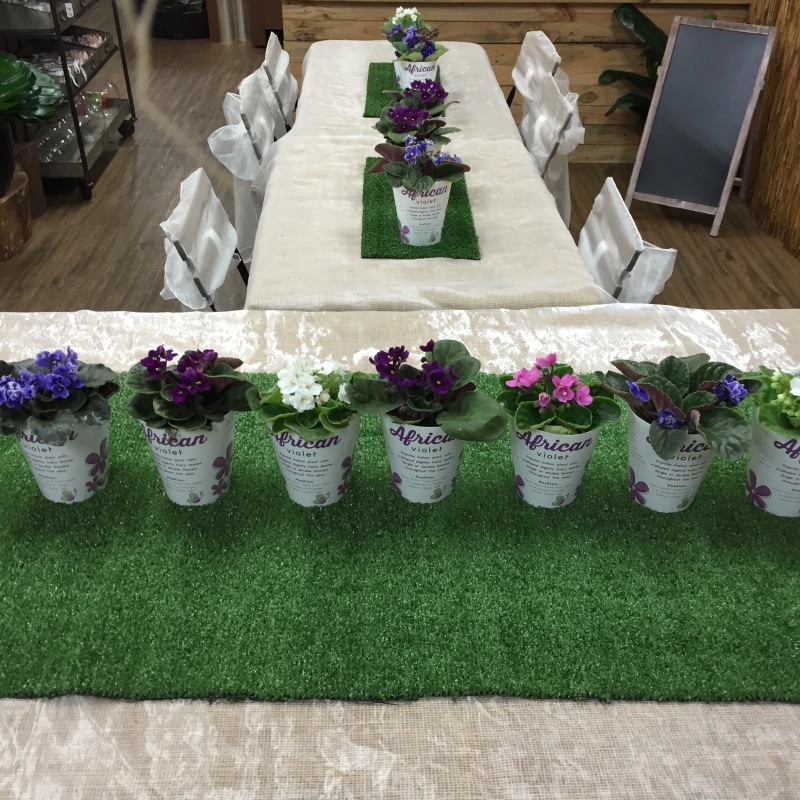 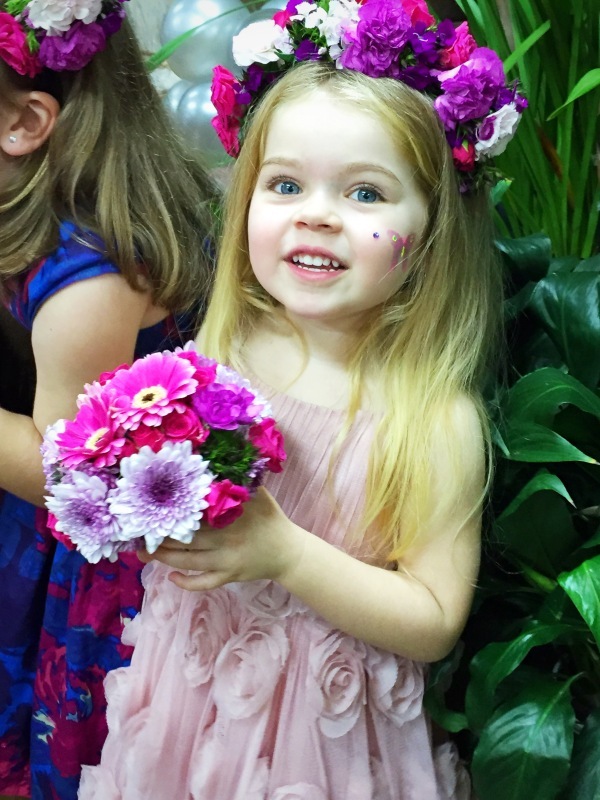 Flower making birthday party at Floral Expressions is the best way to celebrate while being surrounded by beautiful flowers. 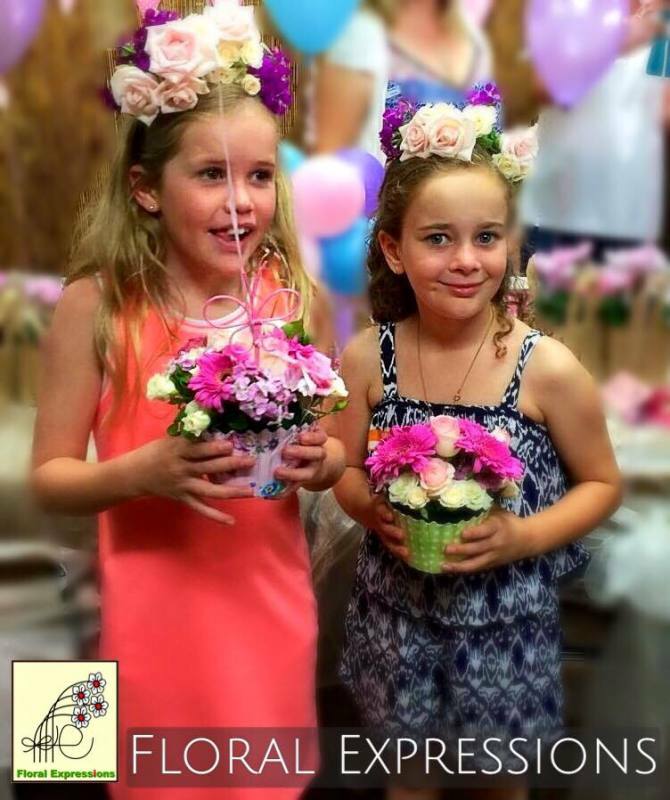 At Floral Expressions, your birthday party can be complimented with a High Tea at Rydges Hotal in Parramatta. 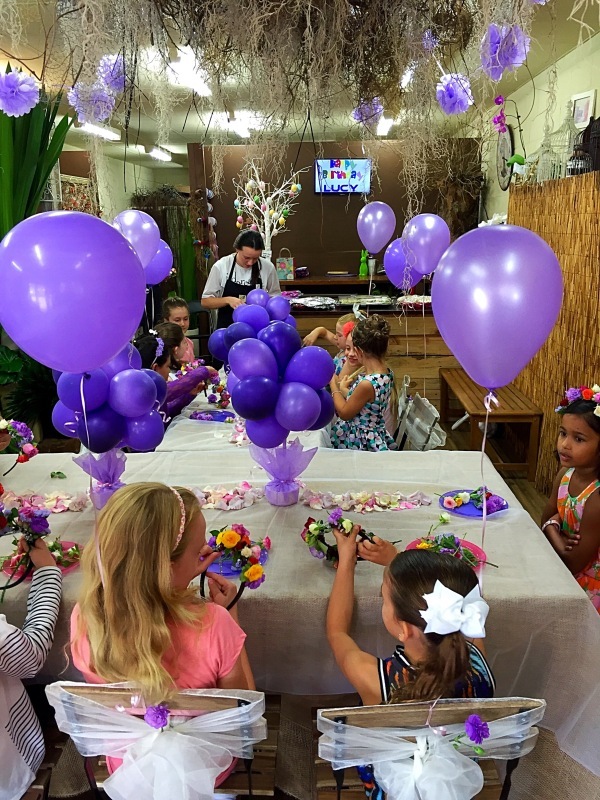 Make sure you call us to discuss holding a birthday party for your child at Floral Expressions.